Booth, Joseph. An address to the public, on the polygraphic art, or the copying or multiplying pictures, in oil colours, by a chymical and mechanical process, the invention of Mr. Joseph Booth, portrait painter. London: printed at the Logographic Press and sold by T. Cadell, Robson and Clarke, and J. Sewell, [1787?]. 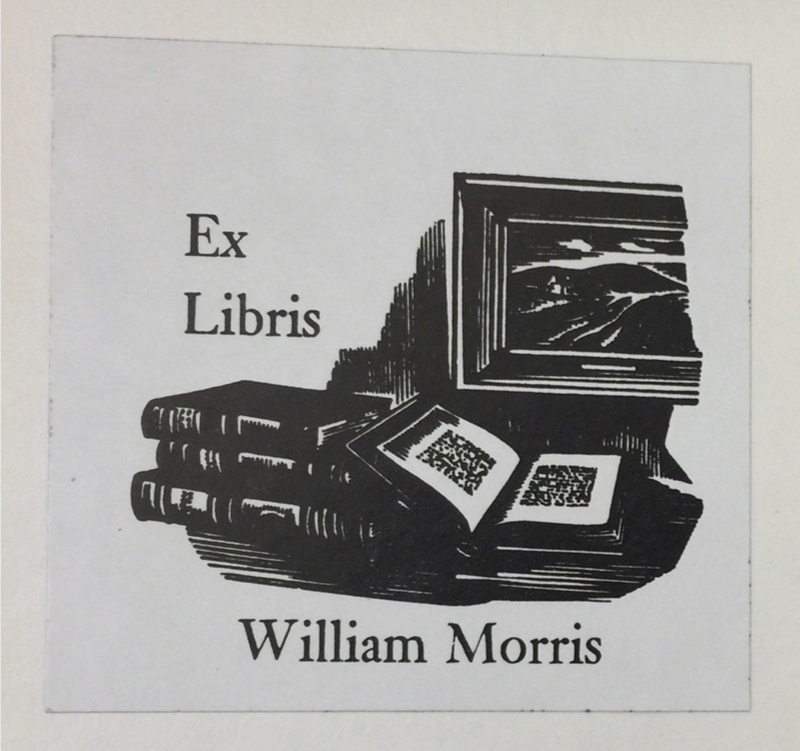 The book was been rebound, probably in the twentieth century, and has a bookplate [see below] not known in any of Morris’s other books. The title, however, is one that certainly would have interested Morris, and we are therefore including it here as a doubtful case. Provenance: Morris (?). — R. & A. Petrilla. — Huntington Library (4956520) [purchased from Petrilla, 12 May 1995].